Most Extended Warranty threads on the XK forum tend to be a few years old, and they tend to deal with 2007-2010 XKs. I'm new to Jaguar, this is the first used car I've ever bought (a 2014), and I'm starting this thread in case there's any updated info anyone can contribute regarding Extended Warranties. - Pays the "shop rate," not a "fixed rate"
1) As a 2014 XK, (this is written Aug. 2017), is the car under any manufacturer warranty, and if so, how can I find out how much time remains and what it covers? ... however, some folks have said, "Insure it yourself and keep the money if you do not need repairs. Put $1000-$2000 in a dedicated reapir savings account to start and add about $50-$100 a month. 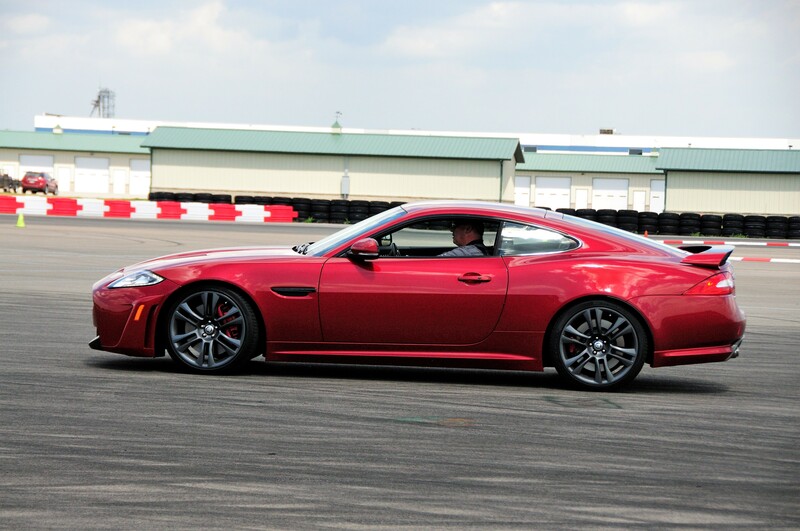 Get your repairs at a qualified Jag independent and save over dealer charges." For a 2014, is an Extended Warranty still recommended by some of you later-model owners? 3) For future repairs, should one only take the car to a Jaguar dealer, or is there a different type of independent shop that I should try to find? You're asking good questions, but the answers aren't clear cut. Whether to buy an extended service contract from a third-party insurance company depends on your risk tolerance and your perceived benefit compared to the cost. Jaguars are more reliable than many people think, and it may make more sense to put that monthly premium in the bank and save it for repairs. Dealers love to sell extended service contracts because they're big profit items. And the insurance companies sell them for the same reason. What does that tell you? There are lots of disgruntled customers on the internet. Why? Because the salesman told them what they wanted to hear. BUYER BEWARE! Before you sign the contract, get a complete copy of of that document and read every word, particularly the TERMS AND CONDITIONS and EXCLUSIONS AND LIMITATIONS provisions. You'll find that there's a provision that says that this document is the sole and entire agreement, notwithstanding anything to the contrary that anyone else might have told you. Also, note that some exclusions and limitations are intentionally ambiguous, which enables the insurance company to weasel out of paying the claim. Just because some members of this forum have had positive experiences wIth aftermarket extended service contracts is no guarantee that you will, too. Whatever decision you make is the right one for you. If this is JLR warranty (directly from manufacturer) then it is good purchase and good investment. These work the same way new warranty does and generally cover everything but tires and brake pads. These are designed to move CPO cars and are another way for car manufacturer to increase resale value of their cars, in turn allowing them to offer lower lease payments. Fundamentally, these designed to sell new cars. It is unlikely that the dealer will be able to sell you one on non-CPO car as it is backed by JLR. I would advise against purchasing after market warranty. After market is an insurance policy against failure issued by non-JLR underwriter. It comes with pages and pages of fine print and is generally designed to cheat you. Things that would break would not be fully covered. Things that are covered would only be covered for repair with used parts. Fundamentally, these designed to make profit from you. Dealers always charge more than independent shop and are not guaranteed to be competent. So it depends on your dealer and independent shop. If you have good indy that knows Jags, then that where I would go. Obviously, don't take your jag to Midas or such as this would likely be the first one they ever seen. Also, as with any new to you used car - assume previous owner did no maintenance whatsoever, unless you have paper record. This means change all fluids and filters. Doing so ensures that you don't get unpleasantly surprised by a failed component due to lack of maintenance. I personally, have more trust in the AJV8 drivetrain than to buy an aftermarket warranty for it. CPO warranty I would consider a nice extra, and desirable. Factory warranty is I believe 4 years from when it was "in operation". So depending on when it was "in operation" the warranty might expire some time in 2018 or 2019. 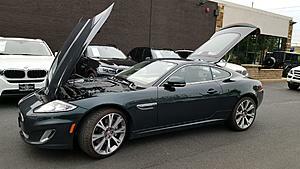 An early production 2014 model year XK would be out of warranty now if it was placed in service before August 21, 2013. The in-service date should be in the CarFax and your Bill of Sale. Even though the dealer sold it "As-Is", the remainder of the original factory warranty, if any, should still be available. - I believe 2014 was a "4/50K" year, so your car went out of manufacturer's warranty when the car crossed the 50,000 mile mark. Otherwise, yes, Jag warranties do transfer. - It is true that Extended Warranties are better understood as insurance policies, and like an insurance policy, your mechanic (doctor) files a claim with the company, and a company "representative" then makes a payment decision on. - In my case, I bought my car out of warranty at a Jag dealership, and my "Extended Warranty" details (price, length, deductible) were part of the haggling process. And I'm lucky, I guess, in that I have a (different) Jag dealership that works well with the warranty company. - I should note that another member here contacted Fidelity and apparently they don't sell individual warranties outside of Jaguar dealerships. I would't know. - Ultimately, it's mainly true that a certain amount of what you're buying is peace of mind, and the value of that varies person by person. Only you can quantify that. If I was in the position of not worrying financially about a potentially costly repair, I might have passed on mine (I was glad I didn't). As I like to say, there is a reason they jumping through hoops to assume your liability. Without even testing the car. One sure way to come out ahead is to do what they do. Invest the money in a good stock, it will double in 5 years. Making your repairs free. That's how they can pay for your repairs and the salaries of thousands. Thank you for all the great advice! I greatly appreciate the time everyone took to add their thoughts. I bought a '14 that went into service in August of '13. the original warranty ended in August '17 - now. I did purchase the JNA extended warranty, provided by the dealer. 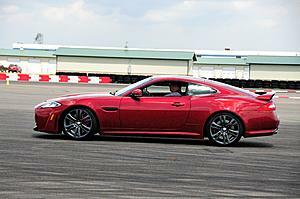 ...seems like a lot of potential issues with an XKR-S and I have a low tolerance for risk. What exactly is that "JNA extended warranty" that you bought from the dealer? Just because it was sold by a Jaguar dealer on Jaguar letterhead doesn't mean that it's a Jaguar warranty. If the contract is administered by a third party who determines whether claims are paid, that's an extended service contract and not a warranty. I suspect that your salesperson used the words "extended warranty" to make the sale, and said that it covered almost everything that was covered by the original warranty and highly recommended it. A "warranty" is a guarantee by the Jaguar factory; they stand behind the original Jaguar factory warranty and the Jaguar Certified Pre Owned warranty. If you purchased a CPO warranty it was probably worth the cost. Odds are that you bought a third-party extended service contract. Dealers push selling third-party extended service contracts because they are highly profitable. The insurance companies underwriting those policies wouldn't sell them if they weren't profitable. Read the contract, particularly the exclusions and limitations provisions. You'll find ambiguities that can enable the Administrator to weasel out of paying. You'll also find a provision that says that this document is the sole and entire agreement, notwithstanding anything to the contrary that anyone else might have told you. Some Forum members have had positive experiences wIth aftermarket extended service contracts. I hope you do, too. Cost of parts and labor have just about cost what the insurance policy cost me - 4300 bucks. However I'm still covered to 12/2019 and I can put 47,500 more miles on her covered. Only thing I've had refused to be covered are belts, hoses, and a undertray. Since it sounds like you and I purchased similar warranties (or whatever you want to call them, we all know what we're talking about -- aftermarket, yes, but from a Jag dealership at time of vehicle purchase), I wonder if they're somehow a better product than if bought independently? Definitely better for the dealer! when I bought my warranty the engine was out of my jaguar and they were replacing a lot of things... I felt it almost NECESSARY to get her from 28,000 miles to 100,000 that I have some form of catastrophe coverage. Its paid off. A CPO warranty is worth it, because it's backed by Jaguar and the factory covers the cost of repairs. Jaguar has no choice but to offer CPO cars in order to sell the lease turn-ins. Not all used Jags qualify, but the CPO Jag is, in my opinion, the best way to go. An "extended warranty" that is backed by a third party unrelated to Jaguar is NOT a warranty because it is not backed by the manufacturer, Jaguar. It is really an extended service contract that might not be worth the paper it's printed on because of the fine print that allows the Administrator to deny claims. Extended service contracts are a crapshoot because those companies are in business to make a profit and are reluctant to pay out more than you paid in. Think about it.